Mathew, who completed his bachelor of nursing from the Government Medical College, Kottayam, hails from Kumarakom village in the backwaters of Kerala. His father is a daily-wage agricultural labourer. Almost 45 minutes before Mathew received the text message, the Union Public Service Commission (UPSC) had announced the 1,099 candidates from across the country who had cracked the civil services examination. Mathew’s rank was 574. “I was excited. But at the same time, I wanted to verify the results. The network here was bad and the website was jammed. But around 8 pm, it was confirmed that I had cleared the exam in the fifth attempt,” Mathew said. 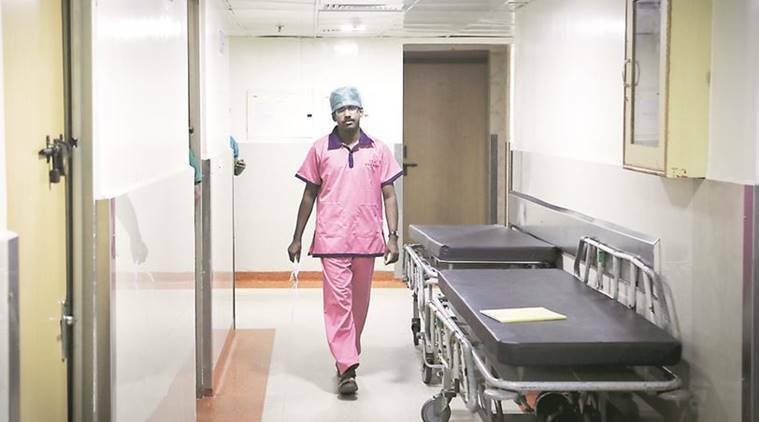 In December 2010, Mathew had cracked the All-India AIIMS examination for nursing — and had been posted at the surgical care unit of the trauma centre. “I studied in a government-aided school. My sister and I pursued nursing. I wanted to work abroad. Out of curiosity, I decided to give the UPSC exam in 2012. I did not clear it. But I was very clear that is achievable and not a herculean task,” Mathew said. In the next two years, Mathew juggled between eight-hour shifts at the trauma centre and preparing for the exam. “ I did not have a fixed schedule. The days I had a morning shift, I would study in the evenings. But six days in a month, when I had night shift, I used to find time and revise what I had already studied. Most of my preparation was from the material available online,” said Mathew. Mathew wants to have another shot at UPSC to get IAS. “I want to get into the IAS. I have been preparing for the next attempt from January itself. IAS would give me the opportunity to serve people directly,” he said. He recalled how he cancelled his leave to join a team accompanying the Prime Minister last year when a fire broke out at Puttingal temple in Kollam, killing 102 people. “This was one of the incidents that convinced me that public services can be a platform to serve people,” Mathew said.